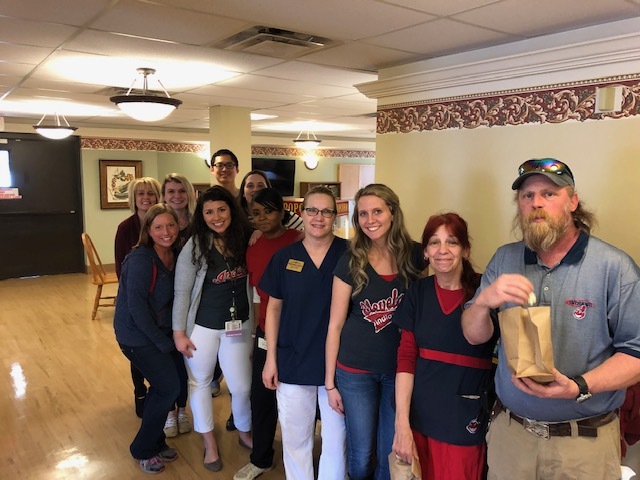 Our staff and residents had a blast kicking off the Cleveland Indians home opener yesterday! A special thank you to our kitchen crew for preparing us delicious hot dogs! Here's to a great season!